Since 2009 we have been installing high quality solar power solutions for local residential and commercial clients including schools and non-profits. We are a mission-focused company with a wide range of expertise from environmental policy, law, public health, and are all NABCEP certified (the gold standard for solar power certification). We pride ourselves on providing honest straight-forward education and service as we help you to harness the power of the sun! NRG Upgrade was founded with the belief that technology, aimed to improve the enviroment, must be integrated in our everyday lives. Due to exceptional personal service, focus on only high quality products, and working with a team of professionals who all share the same vision, the company has helped thousands of electricity users, to go solar, live a greener life and save costs on utility bills. Started as a small focused boutique company, that invested in through research to allocate the best and most effective products, along with like-minded individuals to create what is today, one of the most trusted solar provides in the US. Solar Optimum is a leader in supplying solar energy and Tesla Powerwall and Powerpack battery storage to residential and commercial clients. Our team is made up of professionals that aim to protect the environment with the latest technologies as well as offer long-term savings to the consumer. We are California's premiere solar and home battery storage installer and provider. We are certified Tesla Powerwall home battery storage installers- one of just a handful in the entire state of California. ***For discounts for Military, First Responders, Teachers, and Medical Professionals, please see our Specials Project Album. LA Solar Group is a team of expert engineers and consultants wanting to provide homeowners with the latest solar technology and design with exceptional installation on the most productive systems at the lowest possible price. Since 2012, we've quickly become one of the top solar companies in the United States, with a mission to serve every customer's unique needs and desire to have the perfect solar system. Our success is defined by innovation, dedicated customer service, our company culture, and core values. 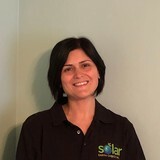 We take great pride in having a very capable staff to handle every detail of a solar project. From trained engineers and consultants, to permitting departments, financing team, and installation crews, our staff will take care of our customers every step of the way. At PacificSky, we're passionate about solar. For more than 20 years we've completed over 2,000 installations, helping families dramatically slash their energy bills with attractive, durable solar panels. Going solar has never been easier, or more financially beneficial. Beginning with our one-hour SmartSolar Consultation, our experts will walk you through a simple, easy-to-understand plan to reduce your energy bill. From design to delivery, we’ll answer questions and ensure you’re comfortable with the process of going solar. At Sunshine Solar, we are all about making the world more green, one step at a time. By providing our clients with energy efficient solutions for their residential and commercial properties, we are already helping to make a difference with our natural environment. Plus, this is saving you money on your energy bills at the same time! We use only top quality and natural products & materials to provide you with clean air. Sunshine Solar is a family owned company with many years of experience serving the San Fernando Valley and more. We operate efficiently and effectively to give our clients exactly what they ask for. We truly believe that our services we provide are helping to save our natural environment and the harm that may get in it’ way. Our goal is to deliver affordable, high-quality solar energy systems. We can help you secure your energy future by designing and installing solar photovoltaic (PV) systems to reduce your energy costs and reduce your carbon footprint. We are the only fully integrated solar installer with a lending license. With interest rates as low as 0.99%, flexible terms, and multiple finance programs we can offer you the opportunity to own your power. In addition to offering in house financing, we offer our own brand of panels and install LED Lighting to reduce your consumption further lowering your energy cost. 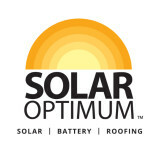 Contact us today with any questions or to receive your FREE solar savings analysis! 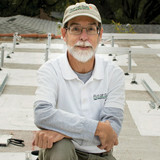 We understand the unique needs of Southern California homeowners when it comes to solar and green energy products. That’s why we offer a variety of eco-friendly products that allow you to reap the sustainable and renewable benefits of our abundant California sunshine every single day. We specialize in renewable energy system integration, including solar electric, solar water heating, and solar pool. We work with each client to meet her/his energy needs, goals, and aesthetics. We also enjoy collaborating with contractors on energy efficient new construction. In 2008, the photovoltaic (PV) solar industry was propelled to the forefront by the benefits of the California Solar Initiative and by a 30% tax credit offered by the federal government. All Sunpro Solar electric (PV) systems are designed and managed by electrical engineers and installed by highly qualified C–10 certified commercial electricians, giving you a 10 year warranty on installations and a 25 year warranty on the solar system output. Are you interested in powering your Pasadena home with solar energy? Whether you want to lower your electricity bill or help the environment (or both! ), hiring a California certified solar energy contractor is a smart first step to getting off the grid and getting into energy conservation. Solar energy professionals in Pasadena, CA can evaluate your needs and design, install and maintain the best renewable energy system for your home. Along with off-grid solar, wind and hybrid energy systems that include batteries and backup generators, there are also grid-tied solar and wind operations. Grid-tied systems are attached to your Pasadena, CA utility company so if you produce more energy than you use, your meter goes down and you build up energy credits. 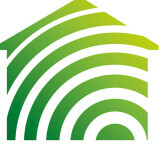 Find solar energy contractors in Pasadena, CA on Houzz. Search the Professionals section for Pasadena, CA solar energy contractors or browse Pasadena, CA photos of completed installations and look for the solar energy contractor’s contact information.